Time flies by as this is the last price update we write in the year of 2016. Almost 4.800 price observations, which affected 2.652 whiskies, were added to our database. The average price per bottle is 350 Euros which is the highest value observed in 2016. 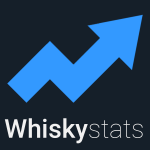 The value of the 300 most traded whiskies, which is described by our Whiskystats Whisky Index, stabilized over the last two months. From January to August 2016 we observed an 14% increase for this index. By the way, the total value of this 300 whiskies (by November 2016) is 100.000 Euros. The most expensive whisky included in the WWI is the Laphroaig 40yo (1960) which is selling for around 4.500 Euros at the moment. Lets have a look at this month´s most traded whiskies. With 38 traded bottles the most traded whisky of this month is the Macallan 18yo 2016 Release. Prices slightly dropped from 275 Euros to 230 Euros since its first auction appearance in June 2016. Interestingly, in this month prices at WhiskyAuction.com (WA) varied from 239 Euros to 255 Euros while their ScotchWhiskyAuctions.com (SWA) counterparts did so from only 203 to 228 Euros. The second most traded whisky was the Glenfiddich IPA Experiment with 30 bottles traded. Again the prices at WA were higher (98 – 112 Euros) than they were at SWA (51 – 58 Euros). Nevertheless we expect this difference to vanish as they often do for such highly traded whiskies. With 26 trades, the Yamazaki 10yo was the third most traded whisky of the month. Overall we find 166 price observations since it first appeared on auctions in January 2010 for 30 Euros. During the course of the Japanese Whisky Boom single prices for this whisky went as high as 240 Euros. Over the last couple month though, it looks like the price level settles at around 150 Euros. In case you do not know how to spend your Christmas bonus this year, we have some recommodations for you. How about a 50 years-old Dalmore? The Dalmore Fifty Years Old comes in a nice glass decanter and could be yours for just 12.500 Euros! Of course you could have gone more exclusive with the Black Bowmore 42yo (1964). But exclusivity has its price so you would need to add another 500 Euros and spend 13.000 Euros for one of the 827 bottles. If you still have some change left do not worry, we have the perfect solution for you. The Karuizawa 31yo (1981) Sakura was sold this month for almost 23.000 Euros, which is nothing but the second highest price observation in our database. But be aware, the highest price observation of 25.500 Euros comes from January 2016 for the Karuizawa 18yo (1995) 2nd Edition Ghost Series. At this round of auctions though, only 10.500 Euros were achieved. When we look at our distillery ranking, we see that within the Top 10 Yoichi overtook Port Ellen. Since January 2016, the Yoichi index steadily climbed by overall 9,5%. It now stands at 271 index points which is even higher than during the japanese boom time in 2015. On the other side, the Port Ellen index climbed too since January 2016, but only by 2,2%. While the Yoichi index climbed steadily, Port Ellen´s secondary market index rose by more than 11% until July 2016 but then dropped by 8% in the following months. This topic contains 0 replies, has 1 voice, and was last updated by Whiskystats 2 years, 4 months ago.